Take a stand against displacement! Learn your rights, how to assert them, and join the tenant rights movement. Join neighbors with common questions or issues. 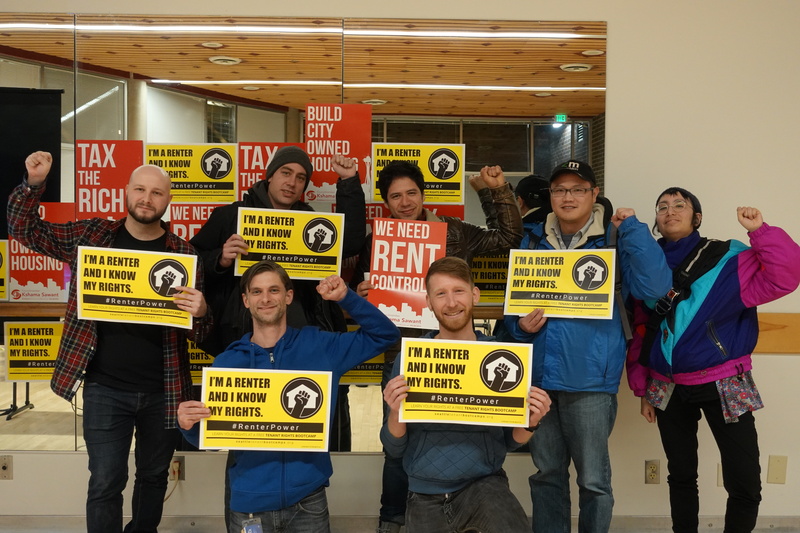 Fight for more rights or better conditions for renters. We're stronger together! Find the next Bootcamp in your neighborhood. Tenant Rights Bootcamps are a neighborhood-by-neighborhood series teaching renters how to to assert their rights, find solutions to various issues, and fight for more renter protections. 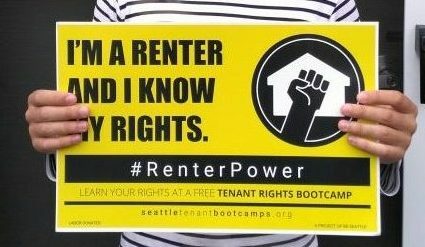 With Tenant Rights Bootcamps, we are taking resources to the people and building the movement for renter power! Tenant action leads to tenant rights. Tenant Rights Bootcamps are places where tenants can get up to date on new actions and legislation that can increase our rights in Seattle. They are also places where tenants can make an immediate impact in the tenant rights movement. Are you an attorney, law student, or tenant counselor? 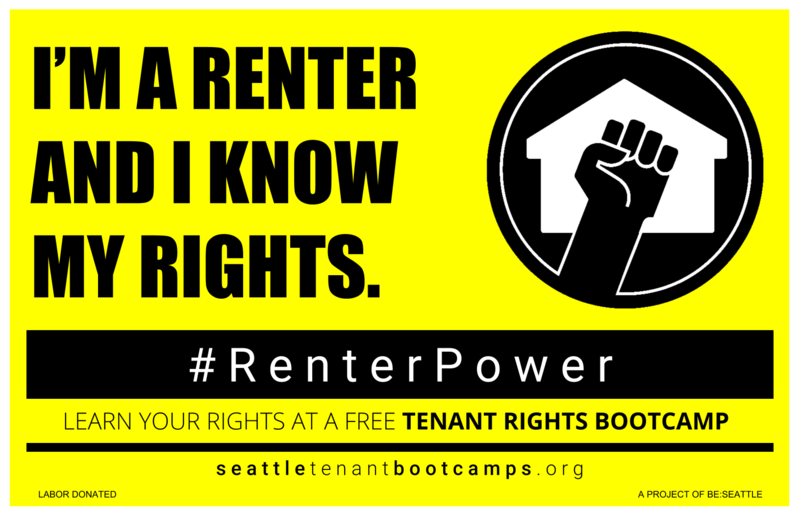 Use your expertise as a volunteer for Tenant Rights Bootcamps! Be a source of information and empowerment for tenants across Seattle. Can we count on you?